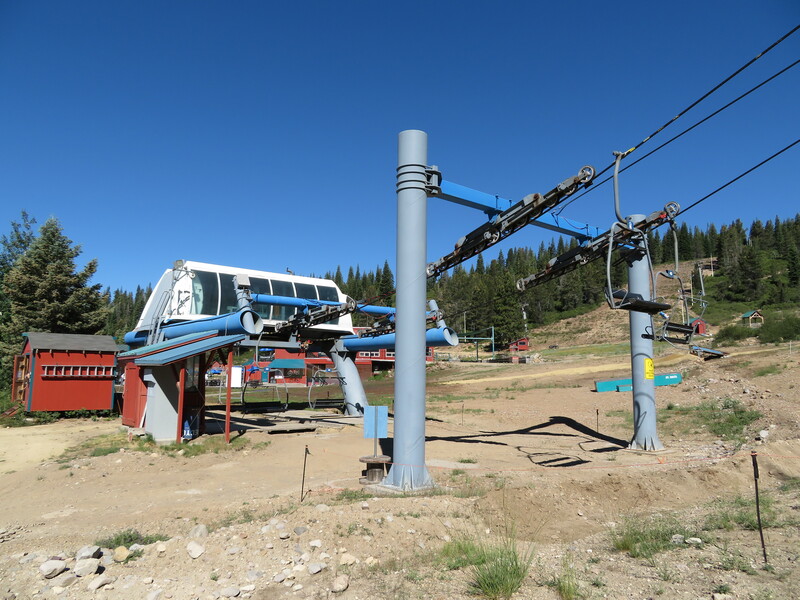 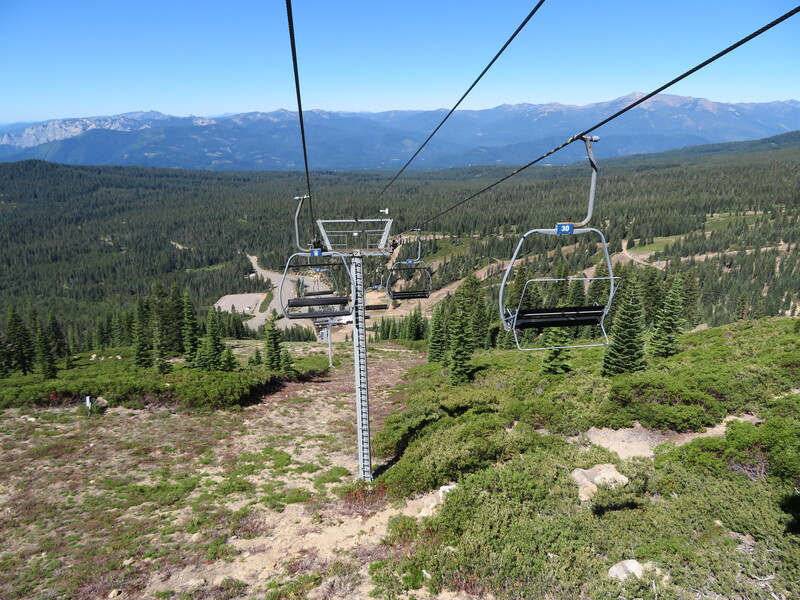 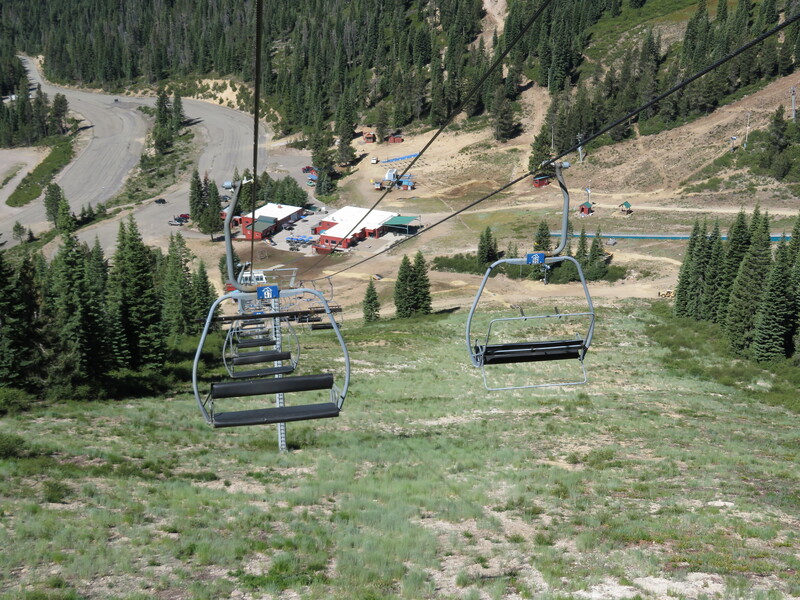 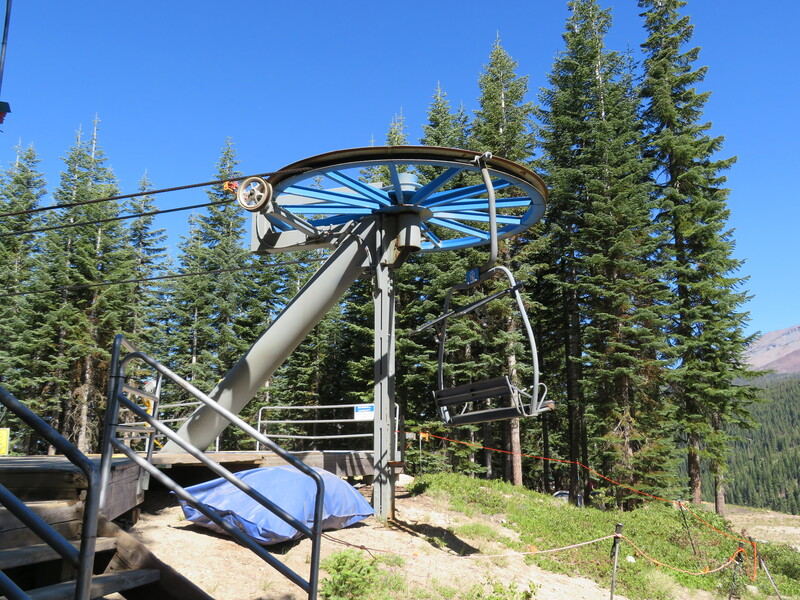 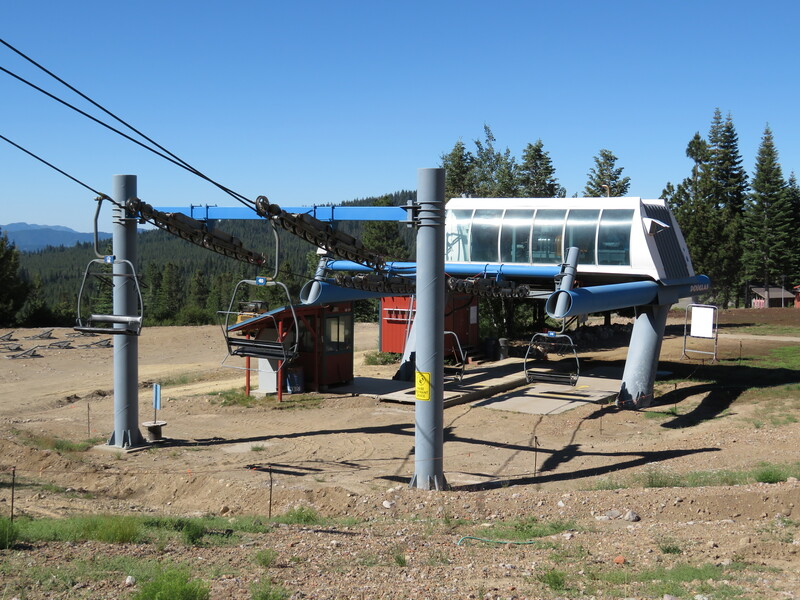 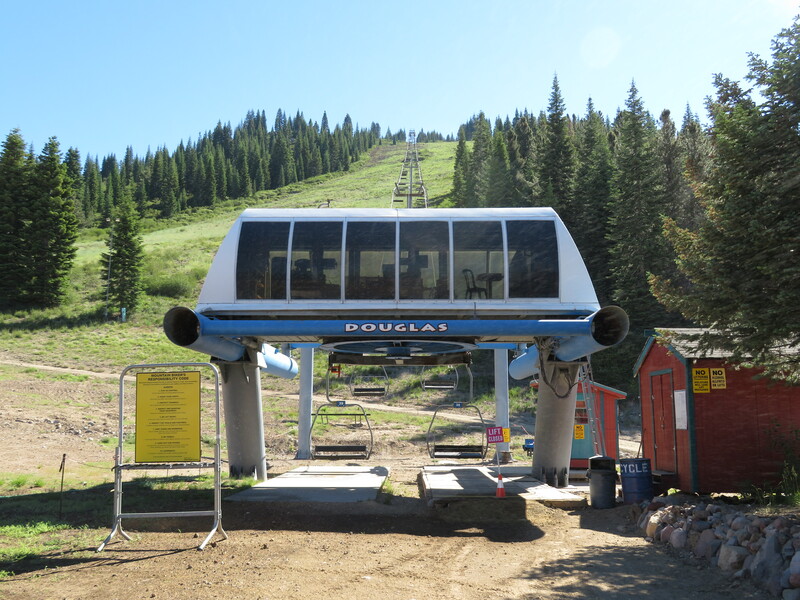 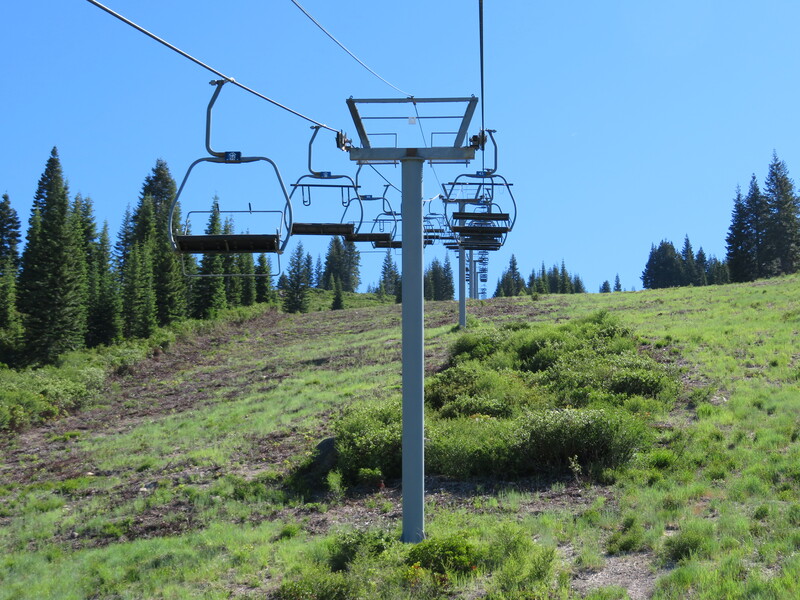 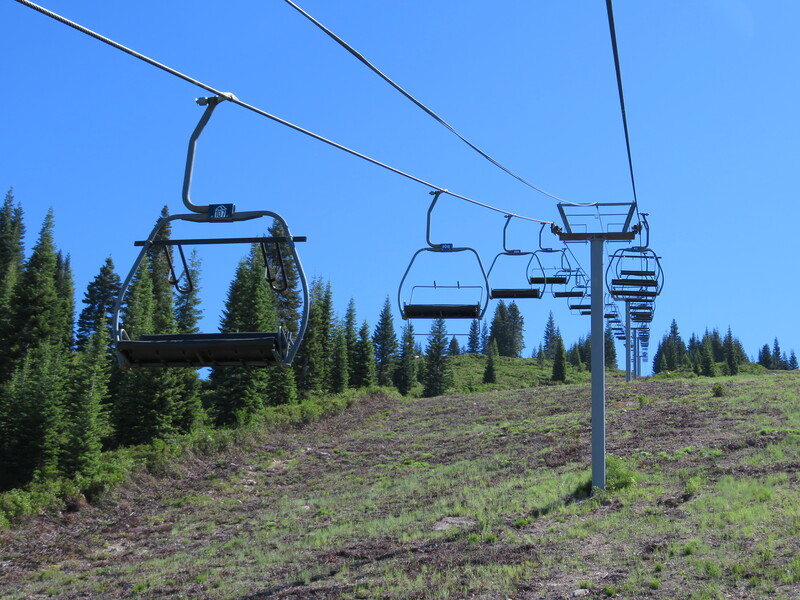 The main out-of-base lift, Douglas was built in 1985 and operates in winter and summer. 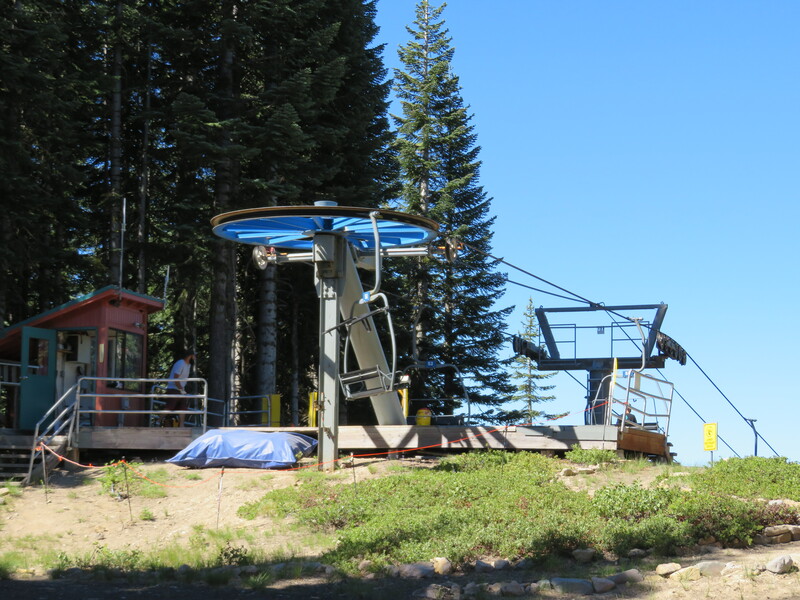 The first tower is a portal-style. 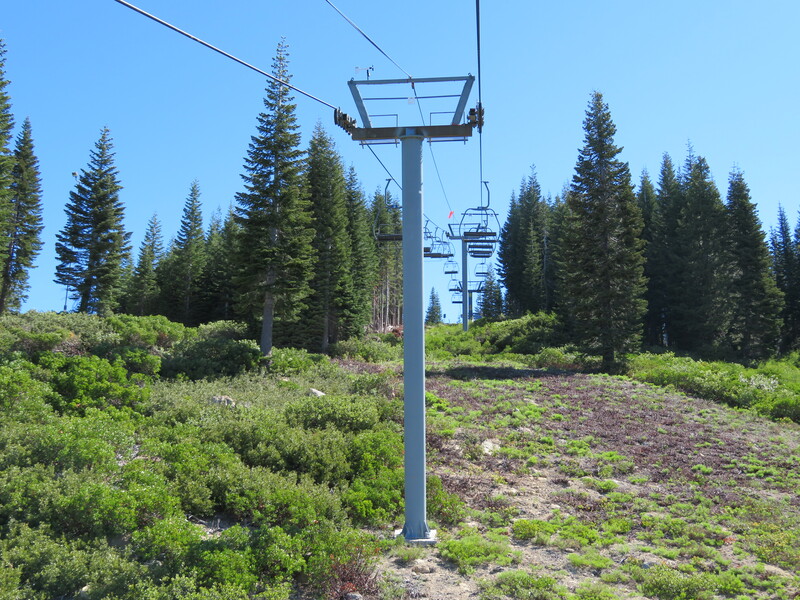 View up the steep lift line. 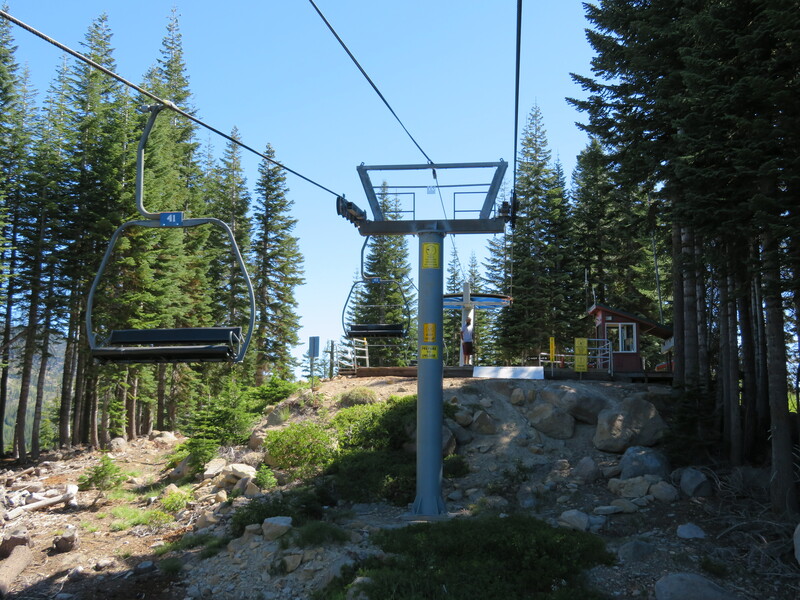 Riding up the line in summer. 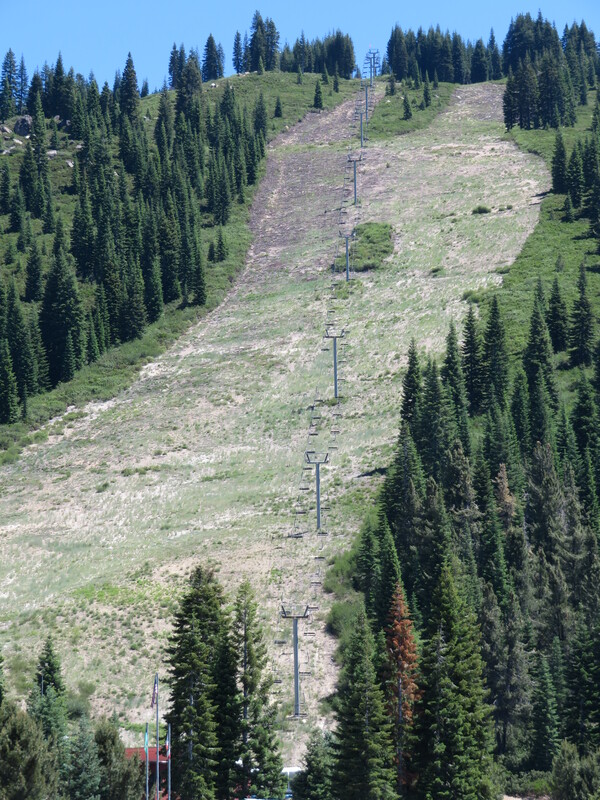 View down towards the base area. 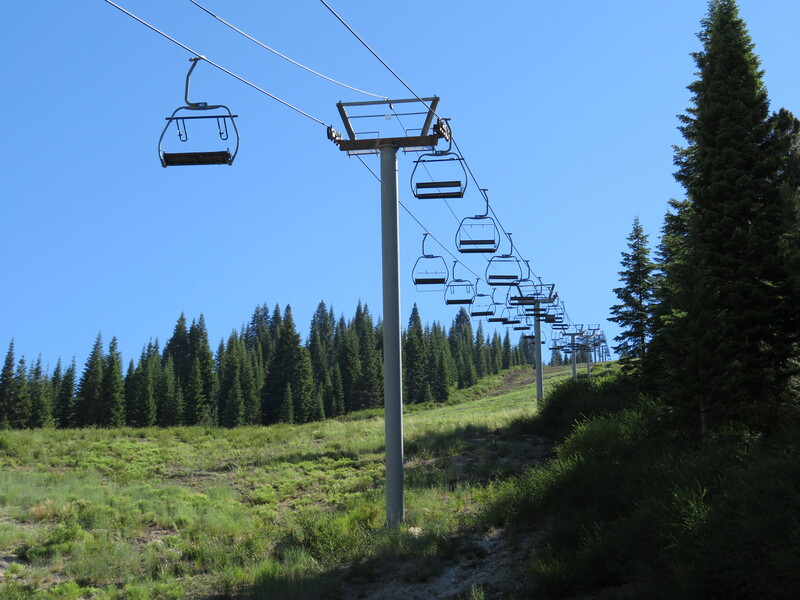 Lift line seen from the parking lot.